Now with every project I like to try to include an upcycled component. This time was no exception. With my Dad being a truck driver there are always "gently" used atlases at their house. I mean seriously can you imagine being a long haul driver back when we didn't have a GPS? 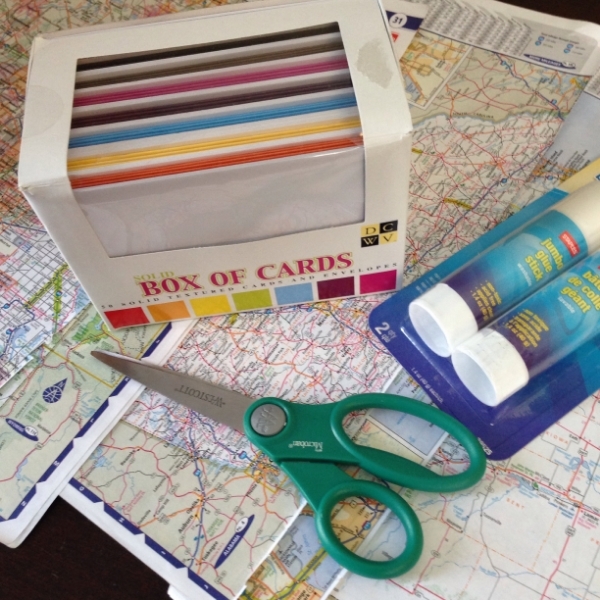 Using a glue stick and pre-made cards I cut out individual pages from the atlas. 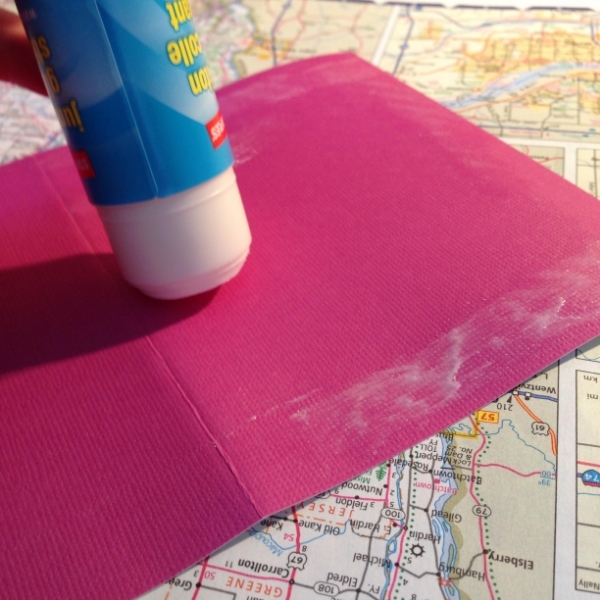 Glueing the cards to the map and letting it dry. 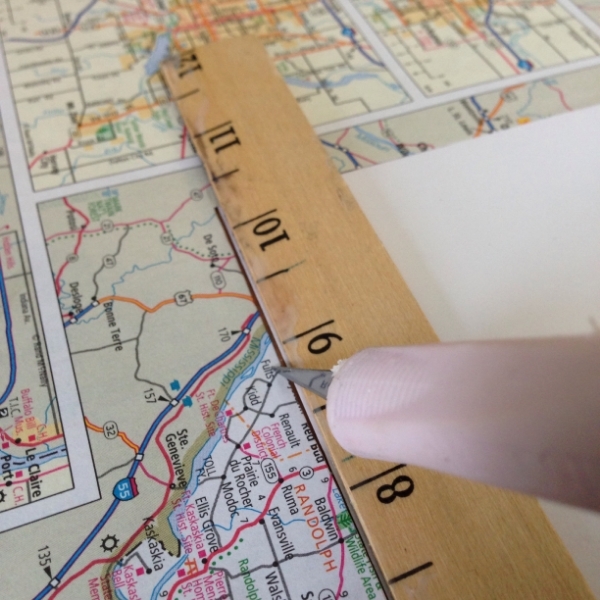 Once dry I used an exacto to cut the card and the map out. Now when you purchase your Silhouette the library comes with some preloaded shapes. I used the tag outline and a Dr. Seuss quote for my design. Very simple and easy to replicate. I also had in mind all of the graduations that will be coming up in the spring. I used the preloaded cardstock setting of speed 3 thickness 33 and blade at a 4. The hardest part about this project was individually having to glue the centers of the letter. That is so time consuming when you are making 26 cards at a time. My initial idea was to let the map show through the letters but I felt it didn't pop enough. So I used a technique that I had used for my holiday cards. 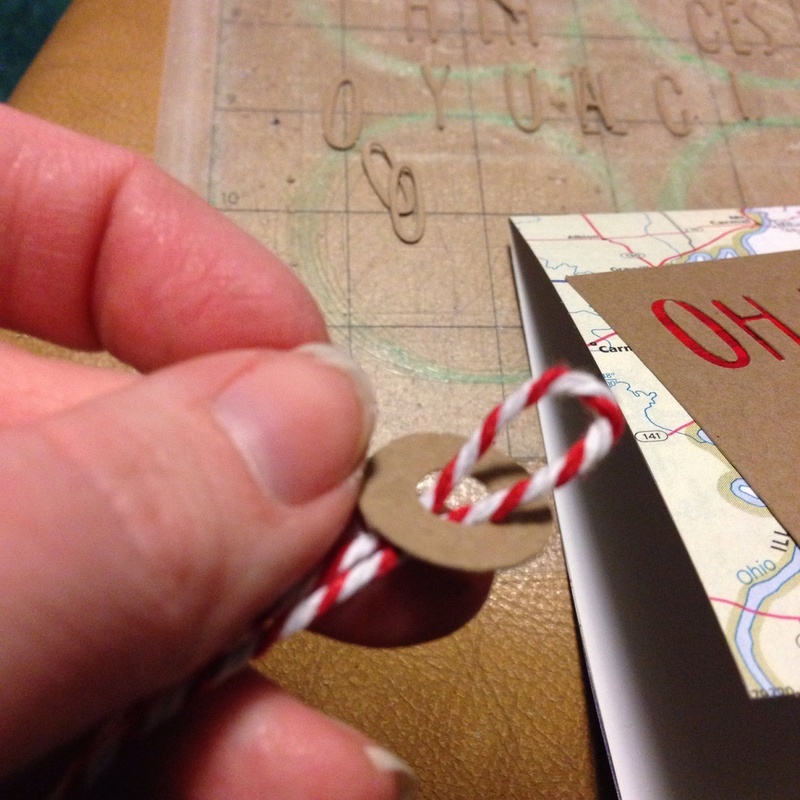 Layering washi tape underneath the cut out so the color comes through. While I do love a glue stick ;) I used a Zig pen for the tag because of the cut outs I did not want to glue to come through and I also wanted the detail of the pen on the inner parts of the letters. Details for me are what makes a project from good to great. Using some bakers twine I tied a knot around the circle of the tag. With the glue stick I glue it into place. Making sure to hold it for a minute so it sticks properly. Not only am I so excited about how these came out but I cannot wait to see the cards I am going to receive! Since so many cards are going to be swapped I wanted to put my stamp on it so the recipient would know who it was from. I got this stamp a month or two ago on a Pick your Plum sale. 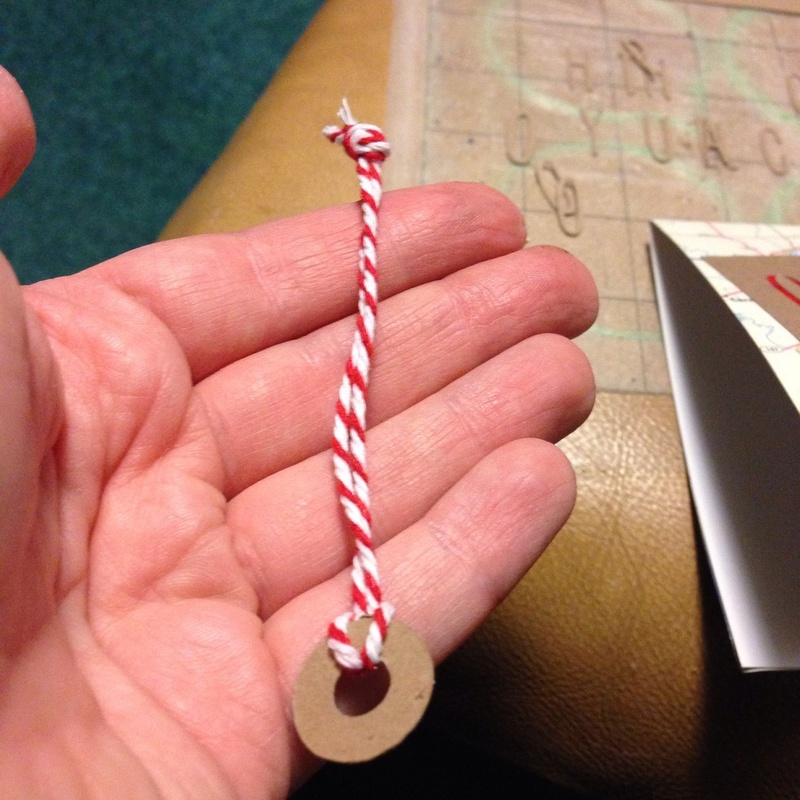 Card making is fun and can be an inexpensive way to give a gift or let someone know your thinking of them. You don't have to have a silhouette to make cards but it makes it a whole lot easier. 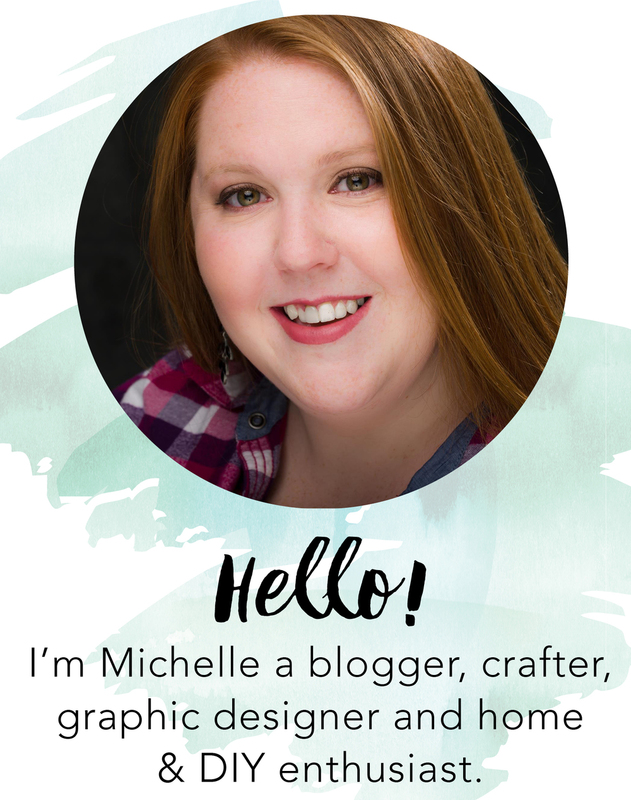 Below 13 bloggers have come together to give away a silhouette portrait! Use the rafflecopter to enter! Good luck!